This Thursday on the 7th November 4pm-8pm our favourite jeans designer PAIGE Adams-Geller will be personally opening a new denim floor at Harrods and rather wonderfully this event is open to the public. 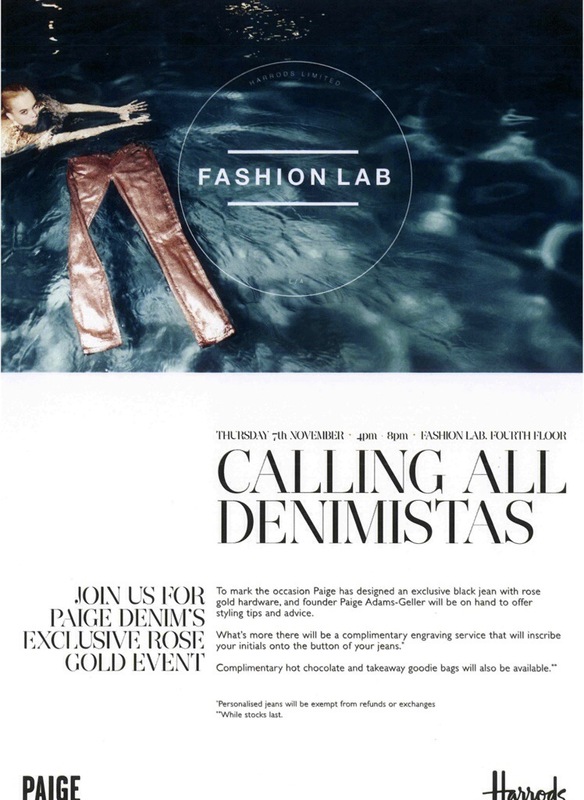 To celebrate this occasion PAIGE has designed an exclusive black jean with gold hardware and will be there to give first hand advice and styling tips just for you. PLUS, have you ever wanted to have personalised monogrammed jeans? Well this is your chance to have your initials engraved on the button of your favourite pair as a complimentary service. Join the crowd at Harrods, have a hot chocolate and enjoy a goodie bag.